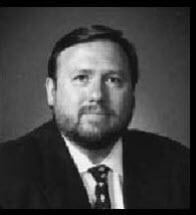 Douglas J. Smith, Attorney for the Smith Law Office, P.C. has a law office in Norman, Oklahoma, that provides clients with the best criminal defense and other legal services throughout the central Oklahoma area which primarily includes the Cleveland County, McClain County and Oklahoma County Districts. The law office is conveniently located across the street, southwest of the Cleveland County Courthouse. The Douglas J. Smith Law Office, P.C. strives to give each client the personalized service they expect and deserve. Mr. Smith offers complimentary case evaluations on the first visit and takes the time to listen to the details of the case; fully answers any and all questions the client may have; and formulates a strategy to achieve the client's goals and objectives, if retained. Legal fees include all court filings and appearances. Personal injury clients pay no legal fees until their claim has reached a favorable settlement. Monday - Thursday: 8:30 a.m. to 6:00 p.m., Friday: 10:00 a.m. to 5:30 p.m.